The Bialetti coffee maker simplifies your busy mornings with advanced features and design. 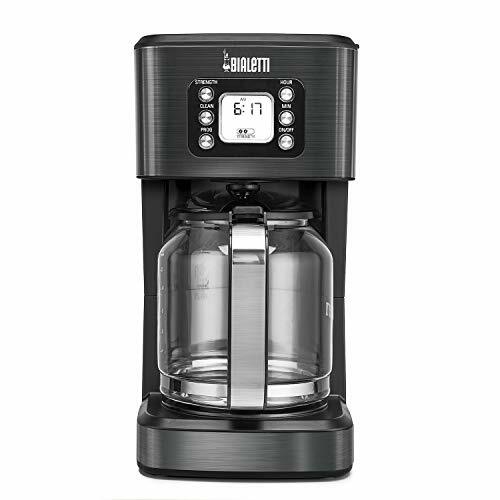 Powered with a 1,200 watt brewing system and programmable up to 24 hours in advance this unit brews great quality coffee that is ready when you are. Reduce waste with the 1-4 cup setting and sustainable and reusable permanent filter basket. Easily customize your brew strength and also enjoy the option to quickly pour a cup while on the go with the convenient pause and serve feature.